I’ve heard proponents of various martial arts talk about how “natural” their art is. They proclaim that whatever they are doing is based on natural movements. Some are said to be based on the movements of animals. Others claim to be based on the natural movement of the human body. I was working with one of my students this morning on some kata from Shinto Hatakage Ryu. His movement is getting good and solid. It struck me that his strong, smooth movement was efficient, effective and elegant, but not at all natural. When I began to think about it, I realized I could not think of any martial art where the movements are natural to human beings. By “natural” I mean that the movements are ones that people make without having to be trained for endless hours. Along with Shinto Hatakage Ryu Iai Heiho I teach Shinto Muso Ryu Jo and Kodokan Judo. Among the movements and principles taught in those three arts, I cannot think of a movement or technique that I would call natural. In truth, the hallmark of good, effective budo seems to be how unnatural it is. 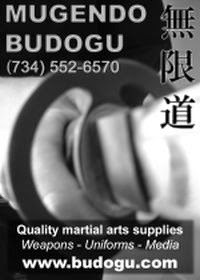 Developing proficiency in any budo movement requires years of practice with a good teacher. It never just happens. Even with students who have a natural affinity for an art, it takes years, perhaps half as many as a natural klutz like me, but years. I’ve written before that all I teach is how to walk and how to breath. I was exaggerating a little there, and Ellis Amdur was generous enough to call me out on that point and several others. However, walking and breathing are examples of unnatural budo movement. There isn’t much that is more natural than walking, and breathing might be the most natural thing we do. Nonetheless, as budoka, we spend years learning to breathe properly from our guts and to stay balanced and stable when we walk. Why does it take so much effort to learn to do something that we were born doing? Breathing is the first thing we do for ourselves when we are born. We take a breath and let the world know how unhappy we are to have been kicked out of the wonderful home where we’ve spent the last nine months. Once we do that, we never stop breathing. What else about breathing could there possibly be to learn. A great deal when you dig into it. Our natural instincts aren’t very good when it comes to breathing. Even before we get to all the inefficient ways people have of breathing, for all that it is a natural, automatic act, put people under just a little bit of stress and they will actually forget to breathe! I spend too much of my teaching time reminding students to breathe for the first couple of years they are training. When they do remember to breathe, they usually are doing it poorly; breathing with their shoulders or taking shallow breaths or finding some other way to do the most natural act in the world wrongly. Proper breathing must be taught and practiced until it is an unconscious act. When sparring, you don’t have sufficient mental capacity to think about breathing correctly. If your breathing skills aren’t honed so that proper breathing happens even when you’re not thinking about it, you won’t breathe well under stress. Walking feels nearly as natural as breathing. No one had to teach you how to walk. You figured it out for yourself, and you’ve been doing it for longer than you can remember. What could there be to learn about walking? From the condition of the students who come to the dojo, or just doing some casual people watching, we can see that most people haven’t learned very much about how to walk properly. They roll their hips. They slouch their shoulders. They slap their feet on the ground. They lean forward past the point of balance. They stand on their heels. New students spend hours hearing me correct their way of walking. Because of all the bad habits people pick up over the course of their lives, learning to walk in a solid, stable, balanced manner takes a long time to learn to do consciously. Learning to do it unconsciously when under stress takes even longer. Good walking isn’t natural at all. When you consider the discrete movements and actions that make up any budo art, things become even more unnatural. Just about the first thing we teach in judo, and the technique that prevents more people from getting hurt outside the dojo than any other, is how to fall safely. Two year-olds fall pretty well. They are relaxed and comfortable with falling down, perhaps because they do so much of it. By the time we start school though, falling is met with stiffness and fear. There is no technique in judo that we practice as much as falling. Falling well requires coordination of the entire body and I’ve never met anyone besides trained gymnasts who took to it without hours of accumulated practice. It’s an entirely unnatural act: we don’t like to fall. This doesn’t even begin to approach the mental aspects of what we are teaching in the dojo. Mushin. Fudoshin. Heijoshin. Everything about the mental aspects of budo is unnatural. We strive to override all of our natural reactions under stress: to not stiffen up, to keep our breathing and heart rate calm and steady, to ignore the monkey brain’s insistence on fighting or fleeing, to retain mental control instead of panicking, to adapt to the situation fluidly instead of trying to impose a solution. None of these things happen naturally. All of them take training and practice. Everything we do in the dojo leads to being able to respond to stressful situations with these unnatural skills. All that physical practice has effects on our mental states. Breathing properly comes in handy when things get stressful and the monkey brain wants to start hyperventilating. Having practiced good breathing statically and in all sorts of kata and free practice that gradually increase the mental and physical pressure, over time it becomes ever easier to maintain the calm breathing and heart rate which anchor calm mental patterns. Like a Rolex, the mind developed through budo is elegant, refined and resilient. This is a mind that can make the choice to step inside an attack to evade and counter in the same movement or to slip out of the attack and then disarm the attacker. Relaxed when the natural reaction is to be tense, calm when nature urges panic, unflinching when nature urges you to dive behind cover, and unmoved when distractions abound, the mind and body of someone well versed in budo is not natural at all. It surpasses what nature gives us by refining the natural core of our beings into something new, with all the naturalness of high grade steel. Budo isn’t natural. It’s better. My teachers are in Japan. These are the people I look to not only for how my budo should be, but also for how I aspire to be as a human. A true teacher is not just someone you learn technical excellence from, but human excellence as well. In the dojo we train in the rawest, most basic expressions of conflict, power, and life. I don’t think it is possible to learn raw, fundamental lessons such as how to throw, strike, choke and break a fellow human without picking up other lessons about living from the people doing the teaching. In the dojo we study and practice under the close direction of our teachers. There is no other way to do this safely. My teachers have all earned my respect and love not just for their technical skill (which is enormous) but for the humanity with which they lead and teach. My teachers, the people I readily claim, and who, I am proud and humbled to say, freely claim me as their student, are human beings. They have flaws and weaknesses. They are also remarkable budoka who continue to work at improving their budo, their understanding and themselves. I’ve known my teachers, trained with them, been scolded by them and gotten an occasional “OK” from them (that being the highest praise I’ve ever heard them give). In the dojo we have earned each others’ trust. I've trained with my teachers for more than 25 years. At each step along the way, I have learned that they are exemplary human beings. I know that can't be said for everyone who teaches martial arts, and I am extremely lucky to have found teachers of such high quality. Kiyama Sensei's budo life stretches back to the 1930s with training in judo, kendo, iaido and jukendo in school during wartime Japan. He has seen just about every excess that can be committed in the name of developing a student’s spirit and technique. He can recall training in kendo bogu (armor) in the summer heat until people had to go to the side to throw up, and then come back and continue training. This was supposed to develop spirit. Instead he points out that people died all too frequently from that effects of that sort of training, so he doesn't teach that way. Kiyama Sensei is my second iaido teacher. My first teacher, Takada Shigeo Sensei, introduced me to Kiyama Sensei early on in my iaido journey as an excellent teacher. When Takada Sensei died, I was left without a teacher, and Kiyama Sensei accepted me into his dojo. It took a while before I was really his student though. I had to go through a keiko with him to discover what sort of person he was, if he was the sort of person I wanted to be learning from and emulating. It was clear from the way he treated everyone, from the 70, 80 and 90 year old members of the dojo down to the 7,8, and 9 year old members, that he respected his students, cared for them, and treated them well. It was also clear from the way his students treated him that they really cared for him. The bows at the end of class were not perfunctory. The school age students would approach him after class to say “Thank you” and he would offer some advice or help with their practice, and the “Arigato gozaimasu” that came from both the students and Sensei was clearly sincere. What kept the classes in order and running smoothly was the obvious respect the students had for their teacher, and the teacher had for the students. It didn't take me too many practices to realize that this was a place I wanted to be, with a teacher well worth learning from. I respected Kiyama Sensei right away, and soon I learned to trust him as well. It’s not enough for a student to trust the teacher though. The teacher must also trust the student. This is especially true in koryu budo where transmission and the continuance of the system are always in question. Gendai budo are generally large organizations where testing and advancement are outside the control of any one teacher. In koryu budo, transmission is all about the teacher-student relationship. If the teacher doesn’t completely trust the student, the student isn’t going to learn anything much. The teacher isn’t concerned just with helping the student develop and learn the art. The teacher must think about the quality of the people who will be the next generation of teachers in the art, and who will be responsible for the art after she dies. There aren’t any dan ranks to collect, just teaching licenses. With each of these, the teacher is saying to the world around him and the teachers who have gone before him that this person is worthy to care for and extend this hundreds of years old tradition into the future. It’s not like giving out dan ranks for technical skill. A GREAT GIFT FOR SENSEI!! A lot more rests on the relationship between the student and teacher in koryu budo because the arts are usually small and closely held. They aren’t meant to to be spread as far and wide as possible the way modern judo, kendo, iaido or aikido are. Just as the student entering a dojo wants to be sure the teacher and the dojo are right for her, the teacher looking at students has to be sure each is right for the continuation of the art. This isn’t a concern when the art has a global structure and rank system with hundreds or thousands of dojo around the world. It’s a critical concern when the art may consist of as little as one teacher and 4 or 5 students. Even within larger koryu budo systems, which student receives a teaching license is a critical issue. Concern for how new teachers represent the art and pass on the precious teachings never leaves the mind of current teachers. How do you earn your teacher’s trust? Start by showing up for every practice. Be sincere in your training. Be honest, helpful and genuine. Show your interest in the art through your actions. Help out with the operation of the dojo. Take care to learn the art as your teacher is presenting it. Don’t let the words “But so-and-so does it differently.” ever leave your mouth. Learning isn’t a competitive art with people are looking for the newest variation of a technique to surprise someone with. Once you’ve found a teacher worthy of polishing you, and you’ve done the hard work to be accepted as their student, what do you do to maintain and fortify your relationship? Now you have to work harder. Don’t fall into the trap of letting practice with Sensei become an automatic activity that you do without fail but forget to look for the treasures in every practice you attend. I’ve known many people who are interested in techniques and physical skill but are so satisfied with who they are that they leave the bigger lessons their teacher has to offer on the dojo floor, never taking them to heart. They show up for every practice, but they somehow manage to learn nothing but technique. The lessons on how to respect others and yourself, how to be an exceptional human being, float past them like an evening breeze that doesn’t even ruffle their hair. Go into each keiko looking to discover treasures. You’ve been lucky enough to find a good art and a good teacher. Treasures such as these do not sit on every street corner, and much like precious silver, require care and time and effort to polish and maintain. Be mindful that what you are learning is rare and don’t let treat is as an everyday affair. Show Sensei at every keiko that you are all there and you know that you are receiving a wondrous treasure. Your teacher makes significant effort to share her art with you. For any good teacher, teaching is not transactional. Teaching is a gift and an investment in the student. Your teacher is also a person. Do you take the time to know more of your teacher than just the teaching persona they wear at the front of the dojo? Some of my most precious lessons in budo have come from my teachers outside the dojo while eating, laughing and sharing. Great teachers are exceptional people, in the dojo and out, but if you don’t make the effort to get to know them as people in addition to them being your teacher, you’ll miss out on many extraordinary aspects of their personalities. Buy them a cup of coffee. Accept graciously when they want to buy you a cup of coffee. Help out when they need it. Ask a question and pay attention to the answer. Listen when they want to talk about something that doesn’t seem related to the dojo. You never know what Sensei might be trying to share with you. Who is your teacher? Why did you choose them? Special thanks to my editor, Deborah Klens-Bigman, Ph.D. I don’t get to see my teachers nearly as much as I would like these days, but I got to visit Japan for a while in September, so of course I spent as much time as I could with my teachers and fellow students. The trip is always one of the highlights of the year for me. Kiyama Sensei is 93 years old now, but you wouldn’t guess it. Even when I met him 25 years ago I would not have guessed at that time that he was 68. He had such a fierce and powerful demeanor that I knew him for quite some time before I realized he’s only about 5 feet (152 cm) tall. 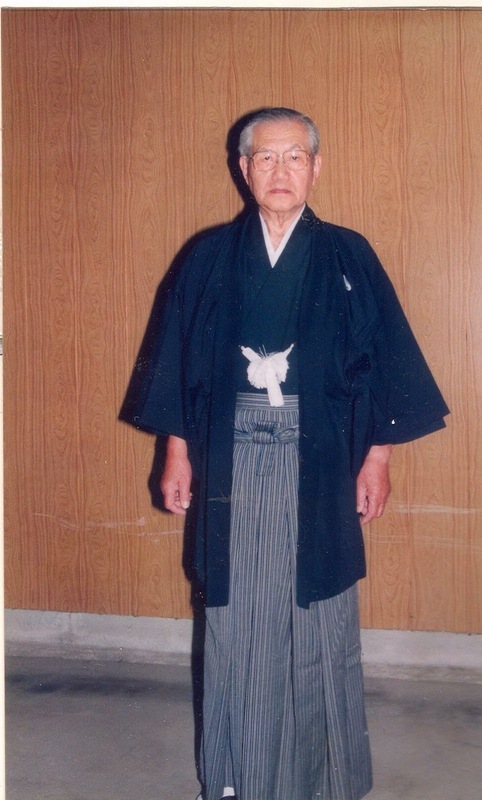 My first iaido teacher, Takada Shigeo Sensei, introduced me to Kiyama Sensei. I vividly remember later running into Kiyama Sensei at the annual Kyoto Budosai. Dressed in formal montsuki for the enbu, he was a powerful figure. Walking around the grounds of the Butokuden with him, I was awed and very nervous because his demeanor was so very correct and commanding. I’ve encountered many powerful budoka, but very few convey the sense of power and command that he does. Many people put on their budo demeanor when they step into the dojo, and take it off when they leave, but Kiyama Sensei never completely sheds his. He moves,not with regal grace, but with solid grounded bearing that projects a stern and unflinching power. is also a kindly, if gruff, grandfather figure who teaches his students how to behave in the dojo and how to approach difficulty with spirit and dedication. For me, visiting Kiyama Sensei is one of the highlights of any trip to Japan. Whether we get to do any training or not, I always come away from the visit having learned something and inspired to train more diligently. This year my visit coincided with a kosshukai for training in the latest points of the Kendo Federation’s iaido kata. I had been hoping that the miserable heat and humidity that is typical of summer in the Kansai region would break before the kosshukai, but the luck wasn’t with me. The day Kiyama Sensei and one of his senior students picked me up at the train station for the drive to the gymnasium started hot and got hotter. The gymnasium is typical of gyms built during the Showa period, which means it doesn’t have any heating or cooling. The best you can do in the summer is open the few doors and windows and sweat it out. Sweat is exactly what we did, even when standing still. I was worried about Kiyama Sensei in the heat, but he kept going, looking better at the end of the day than I did. He wasn’t teaching that day; instead he was there as the guest of honor and the senior practitioner in the area. Even though Sensei wasn’t officially teaching, don't think he didn’t do quite a lot of teaching anyway. Whenever the official instructors were busy working with other students, Kiyama Sensei would come over and make corrections to my cutting form and my movement, and I wasn’t the only one to get his attention. Sensei is always clear about what he wants all of us to improve on. In my case, he wants to see more koshi in my movement and more “sspaa!” in my cuts (don’t ask. Sensei knows what he means, and I’m pretty sure I understand him, but I haven't figured out how to describe it). After we had spent the day training and sweating in the stifling gym, Kiyama Sensei suggested a group of us go out to dinner. There was Sensei and four of his students, two 7th dans and two 5th dans. We retired to a wonderfully air-conditioned restaurant with ice water and other delightful cold drinks. We talked about the importance of seme (sense of aggressiveness, the feel of the attack) in iaido, and how much more sppaa! I need to get into my cuts. The conversation found its way around to the fact that two of us are looking at taking rank tests in the near future, and what we need to improve to have a chance of passing. Sensei and the 7th dans chatted back and forth while I listened and resisted the urge to start taking notes on my phone. Christmas is coming! Share the Budo Bum around the dojo! This is the part of the visit that I was most looking forward to. I’ve been training with Kiyama Sensei for more than 20 years, and I still look forward to every keiko session. The informal conversations are special treasures though. 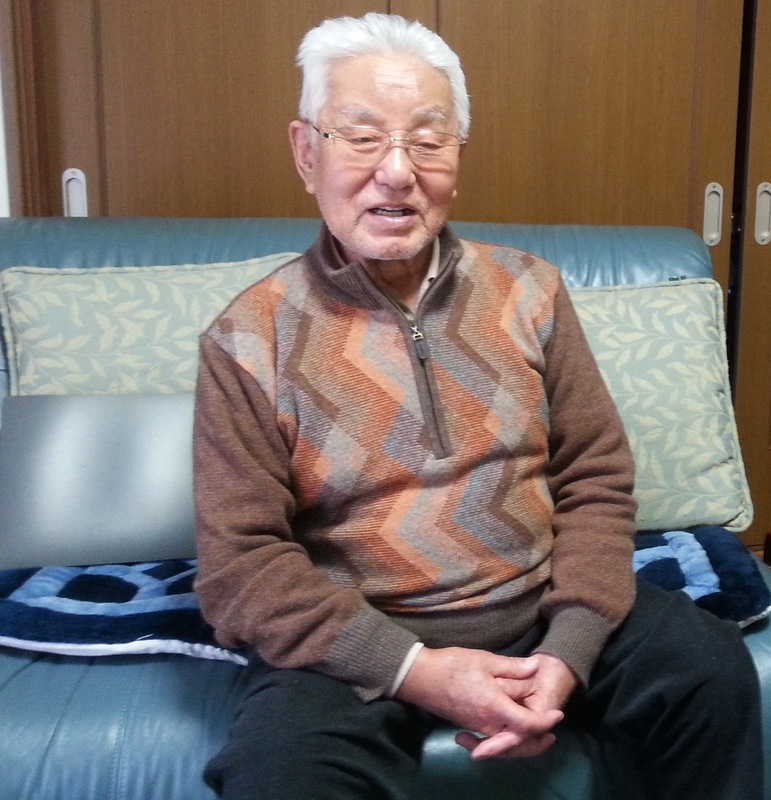 Sensei will talk about his teachers and sometimes share stories about them or training when he was young. These gems fill out my understanding of budo in Sensei’s life, and help me understand how I want it to be a part of my own. With his 88 years of training, I can see in him the beauty, grace and strength that have come in part from that training. My goal is to achieve some fraction of what Sensei has become. treasure. He is a pleasure to talk with, especially about budo, and with the group we had, the conversation flowed along like a lively, little river. I won’t go into all the advice I got about my cuts or my posture or the dozen other areas of my iai that everyone took the time to critique. Sensei succeeded not only in giving me plenty of advice, but also in trimming my ego back to a healthy size. While I was in Japan I also got to train with my jodo teacher, Matsuda Sensei. We trained together several times on this visit, and he worked me hard every time. Visiting Matsuda Sensei is always a compelling experience. He doesn’t keep his own dojo, but moves among dojo run by several of his senior students. Each dojo is unique. One is a karate dojo that is rented one evening a week for jodo. Another is an elementary school kendo dojo that can be borrowed on the weekend. 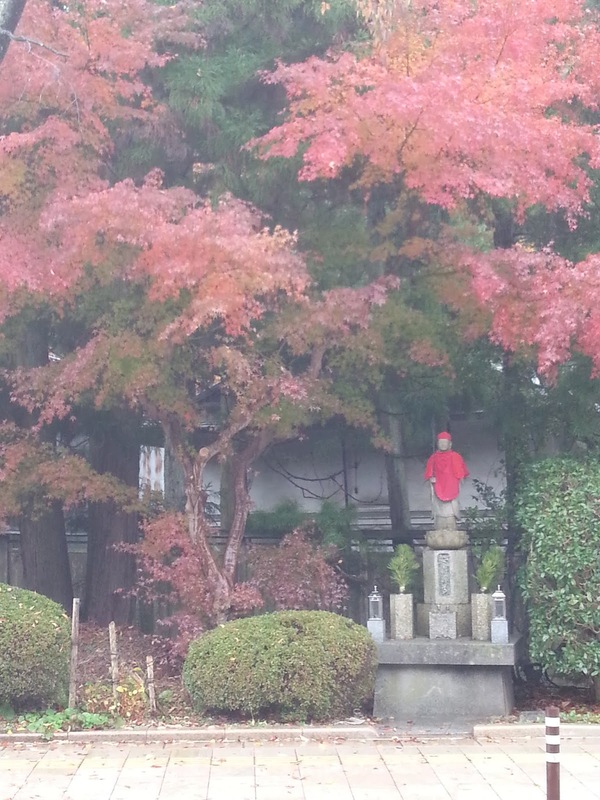 The most beautiful one is a gorgeous dojo on the first floor of the teacher’s home. Training at any of them is thrilling. I get to work with a wide variety of Matsuda Sensei’s senior students, every one of whom pushes me in a different way. Matsuda Sensei’s senior students are 6th and 7th dan teachers in their own right, and they all can take me out to the edge of my ability. The biggest treat for me though is being able to go out after practice with everyone. We practice specific techniques in the dojo. It’s a place of quiet respect for the seriousness of what we are studying. We’re busy practicing, which doesn’t leave room for conversation. After practice we sit down and ask those questions that we didn’t have time for in the dojo, and we deepen our understanding of things we thought we understood. Sensei is still Sensei, but he’s a lot more approachable over food and drink in the restaurant afterwards than he is during practice. This is the time to ask that question about seme or zanshin that’s been bothering me. In the dojo, with Sensei casually showing all the openings in what I was sure was a pretty good technique, I forget that he’s a truly wonderful person as well as a great martial artist. Talking with Sensei, and getting to laugh with him, is a fascinating experience. I’ve known my teachers, trained with them, been scolded by them and gotten an occasional “OK”from them (that being the highest praise I’ve ever heard them give). And I have also gotten to know them as people over the last 25 years. They have shared their skills, their lives and their memories with me. They have shared themselves. The people you choose as teachers should represent a lot of what you want to become. You'll absorb a great deal more than just good technique from your teacher, so take your time when selecting one to make sure she is a person worthy of learning from. My teachers have shown themselves to me time and time and time again that they are gentlemen of the highest quality. Training with them is always exciting and enlightening. This is a guest post by Deborah Klens-Bigman, PhD. and Jun Shihan in Shinto Hatakage Ryu. 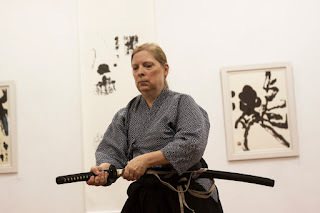 A martial arts practitioner and teacher for more than thirty years, she has seen a great deal of the budo world, and experienced its good and bad. We as budoka are not perfect, and this seems like a good time to consider one area where the budo world could improve. Budo has never been a male-only practice, as can be seen most clearly in the number of women who've led, and lead, martial ryuha in Japan. Klens-Bigman Sensei is addressing an issue that should be of concern to everyone in budo. First, I would like to point out that most of my teachers in my 30-plus years of training have been men - good, talented men. And the vast, vast majority of my colleagues in budo are also men - honorable people I am pleased to associate with. But sexism in budo needs to be addressed; and I feel the need to address it very specifically, and right now. The public discourse of the past two years has allowed for what pundits refer to as "tribalism" to come out into the light. I think it is too early to know yet whether this is a good thing (what comes into the light can be confronted, and refuted), or a bad thing (normalizing behavior that many of us had hoped no longer existed). All the while there have been some voices all-too-quietly pointing out that misogyny is ever present for all to see, regardless of “tribe.” Perhaps it is its perpetual "there-ness" that allows misogyny to be continuously overlooked, or disregarded. Or, just perhaps, no one is very comfortable discussing it, so no one does. Since I was a little kid sneaking out of the children's library into the grownup sections for further adventure, I was interested in hand weapons. Not guns, but swords, knives, glaives, spears, battle axes, bows, maces - if you could hold it in your hand and wield it at someone, I was ON IT - at least in the bookly sense. I lugged home books on arms & armor that were almost as big as I was. When I was traveling with my parents, nothing thrilled me more than climbing around castle ruins or forts, or (the best) going to a real medieval armory. My parents thought I might become a historian. Through all of this fascination, it never occurred to me for a single moment that my interest was weird or should be circumscribed in any way. That is, until I decided to actually do something about it. I tried fencing, which I enjoyed, but I was not happy with the competitive aspect of it (there was no historical fencing available like you can find now). Likewise, I was not happy with the theatrical fencing I encountered in college; not just because it was fake, but because there really was no opportunity to take part in fight scenes featuring women. I decided fight choreography was a waste of time. When I first encountered iaido, I was very fortunate that my teacher, an Osaka native, had three daughters. He had no problem whatsoever with training me. There have been few times in my life when I felt that I really found something important. This was one of them. Unfortunately, my sempai did not agree. My first few months of practice, one of them told me that it was "not proper" for women to study Japanese swordsmanship. I decided that was silly. My Japanese teacher was perfectly happy with me being in the dojo. However, this sempai arranged for me to miss a demo that my teacher wanted me to take part in. Everyone else was there. The experience was mortifying. It was designed to make me quit. That was the first time I realized that not everyone had the same attitude when it came to women training in budo. 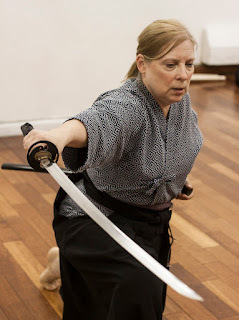 I should point out that most of the resistance to my practicing swordsmanship came from a number of my American sempai. During my many training trips to Japan, I rarely encountered the feeling of being excluded. But more about that later. I didn't quit. I was stubborn. I kept going to okeiko. I volunteered to organize demos (a job no one wanted) partly so I could not be left out again. I trained hard. I watched. I listened. I learned. And I put up with a lot. Budo training for women involves more than just wanting to improve your skills and develop your personality. It involves enduring. Enduring sempai who, instead of being willing to help you, try to hinder you, because something about being an onnakenshi just doesn't feel right to them. It's walking into a seminar where you are the only woman (hint: You have to walk in like you own the place). If no one knows you, it's getting the puzzled look as the guys try to figure out whose wife/girlfriend or (after awhile) mom you are. It's also enduring looks at the inevitable banquet when wives and girlfriends eye you with suspicion because you are there by yourself. It's being told you are "gender non-conforming," and that's supposed to be a compliment. I'd like to say the situation improves for women who teach, but it does not. I've had men walk into my okeiko and immediately look to one of my male students as the teacher, because it's not possible that could be me. I've taught seminars and offered correction to a male student who ignored me while taking the same correction from another man. 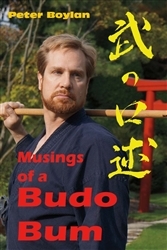 I've encountered fellow budo teachers who implied I should be teaching women, or children, but not men. Sadly, I gave a demo once and had a woman in the audience ask if there are "any restrictions for women" in learning budo. Because she assumed that there are. And it's rare, but it happens - someone being just a little too rough as a training partner, landing a tsuki in jodo with the intention of knocking you down, or knocking the wind out of you, at least. Or, as a senior student, having a sempai publicly humiliate you in front of the whole dojo, because you "just don't know your place" (and having the kohai silently agree with him). The fact that I was correct in that situation was meaningless. One wonders why we bother. Indeed, I have wondered, from time to time, why I bother. There are a lot of reasons for persisting. For one thing, not all budoka behave in the ways I have mentioned (though more of them do than I'd like). Just like the guys, there is the fun of learning new things and gaining new skill and confidence. And I have been to seminars in Japan where I am not the only woman; indeed, where several of the women have menkyo and everyone treats me as though I have the same potential. As I said, while I can't say that I never encountered male hostility in Japan, I can say that, generally speaking, when it comes to okeiko, people have treated me like any other student. And most of the groups I have trained with are at least 1/3 female. And that is all women want. We want to be just like everyone else. We want to be taught. We want to learn. We don't want to be hit on. We aren't looking for dates. We want to be taken seriously. And we want our expertise to be recognized. Now and then, a young woman comes to the dojo, with a look in her eyes like I had so long ago. It's my job (and my pleasure) to make her feel welcome. To help her understand that yes, you can do this. I will help you. And there are good memories, like the time my teacher gave me a bear hug after a class (in front of the sempai!) and said, "You're doing VERY WELL." I do this to keep my teacher's faith in me. I do it for myself. And yeah, I do it for women. Traditional Japanese Swodmanship in New York and New Jersey. Is Martial Arts Training For Self-defense Really A Good Idea? All rights reserved. The Budo Bum is Copyright 2009-2017 Peter Boylan. Simple theme. Powered by Blogger.